KARACHI : The measures taken by the government so far to attract higher remittances from overseas Pakistanis have started bearing fruit as inflows have remained on an uptrend from several parts of the world. 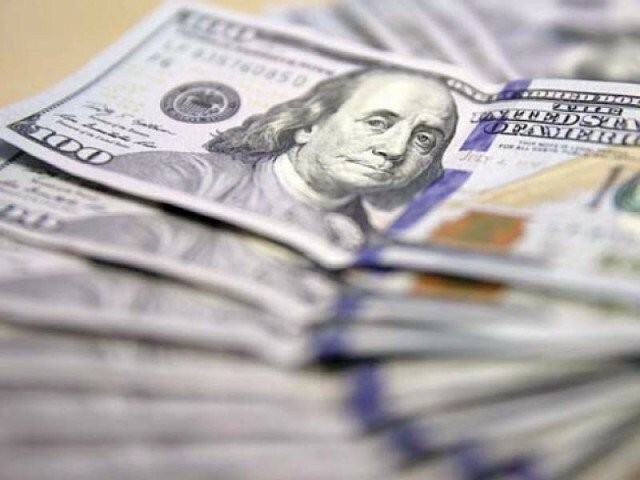 Remittances from overseas Pakistani workers increased 12% to $12.77 billion in first seven months (July-January) of the current fiscal year compared to $11.38 billion in the same period of previous year, reported the State Bank of Pakistan (SBP) on Monday. The remittances have remained a big source of the country’s foreign income, which partially help finance foreign expenditure, like import payment and debt repayment, and eventually narrow down the current account deficit. Pakistanis living in western countries, including the United States and the United Kingdom, have remained the engine of growth in remittance inflows in January 2019 and first seven months of the current fiscal year. At the same time, the remittances from Middle Eastern countries, mainly Saudi Arabia and the United Arab Emirates (UAE), showed improvement in January after remaining under pressure for around two years. “The new government is supporting remittances,” Arif Habib Limited Deputy Head of Research Tahir Abbas told The Express Tribune. In one such measure, the government had let the rupee depreciate around 32% in the past 14 months to Rs138.93 against the US dollar in the inter-bank market on Monday. The measure was primarily taken to increase exports and cut imports in order to reduce the current account deficit. However, it also helped attract higher worker remittances. Besides, the government has started a crackdown on the illegal Hundi and Hawala operators to give a push to inflows through legal channels, including the banking system. The government has recently introduced the M-Wallet scheme to build capacity for receiving remittances instantly. It has also doubled the incentive to Rs2 on the receipt of each dollar in remittances as airtime. “The incentives have been announced in recent months and have yet to make a fully favourable impact. Going forward, they are expected to help the country attract higher remittances,” Abbas said. “We have estimated remittances of $22.2 billion in fiscal year 2018-19 (against the government target of $21.2 billion),” he said. “The government may further increase such incentives in order to step up the flow of remittances, which will help it to efficiently manage external economic pressures,” he said. An analyst, who spoke on condition of anonymity, said remittances from two western countries – the US and the UK – had continued to increase apparently because most of the Pakistanis there were supporters of the Pakistan Tehreek-eInsaf government and Prime Minister Imran Khan. The central bank has said that remittance inflows from the Gulf Cooperation Council (GCC), particularly Saudi Arabia, have grown in the recent past. “It is possible that layoffs in the region have gone down in recent months, which may have led to the bottoming out of remittances from the GCC. It remains to be seen if this trend reversal will continue going forward,” the SBP said. “Remittance inflows have been under stress for the past couple of years (since the first quarter of FY17) due to low oil prices and the Gulf economies’ adoption of nationalisation policies and fiscal consolidation measures,” it said. In January 2019, the inflows amounted to $1.74 billion, which were 6.4% higher than January 2018, the SBP said. Country-wise inflows Country-wise details for January 2019 showed that inflows from Saudi Arabia increased to $403.92 million compared to $383.91 million in January 2018. Remittances from the UAE inched up to $352.12 million compared to $351.58 million last year. Workers residing in the US sent $272.32 million compared to $223.94 million in the previous year, from the UK sent $295.13 million compared to $235.1 million, GCC countries (including Bahrain, Kuwait, Qatar and Oman) $166.5 million compared to $186.33 million and EU countries $42.89 million compared to $56.4 million. Remittances from Malaysia, Norway, Switzerland, Australia, Canada, Japan and other countries in January 2019 amounted to $210.36 million against $201.46 million in January 2018.